The Seafood Bistro...Big Surprise in Montgomery! I was going to tell you about the great week I just had at the beach. 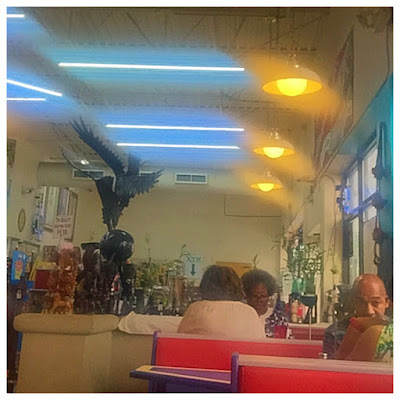 I was going to tell you about how relaxing it was, how much fun Luanne and I had, the new restaurants we discovered, and the old favorites we visited again. I was going to tell you how we had not seen one another in forever and how much catching up we had to do. I was also going to tell the stories of how everywhere we went, we thought of Sherri and wondered what she would have thought, said, done, ordered or eaten. We would try to predict what her reactions would have been and, even though we think we are outrageously funny, we know that nothing we could say or do would ever rise to Sherri's level of wittiness and dry humor. The girl was, simply, hysterical! I was going to tell you all that and more, and I will, but not right now. Why? Because on the way home from the beach, something happened that I simply cannot wait to talk about it. Delayed gratification has never been my long suit and, quite frankly, I see no reason to try to develop it now. So, for that reason, and without further adieu, I'm going to start where the story ends. Luanne had already headed north to Tuscaloosa when I took I-65 toward Montgomery to meet JD for lunch. We met in a drizzly rain in the parking lot at a McDonald's off the Fairview exit to transfer some supplies from my car to his truck and to decide where we wanted to have lunch. When I asked JD to tell me what kind of food he wanted, he quickly said, "seafood". Since I had just left the beach and a week of eating almost nothing but seafood, I was a little skeptical to say the least. But, if my child wanted seafood, you can bet I was going to do my best to find him some seafood, so I consulted my Around Me app. 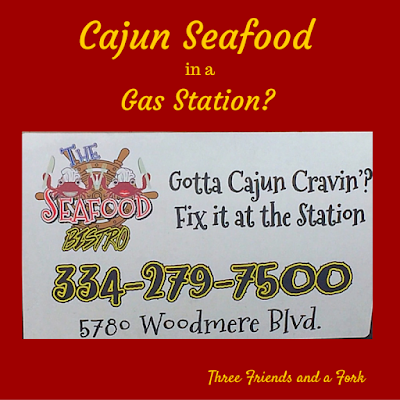 Around Me indicated a cajun seafood restaurant fairly close by and from what I could tell the reviews looked good, so we set off to find the The Seafood Bistro. By this time, it was raining harder. Neither one of us is familiar with Montgomery. I had the directions, so I was in the lead, JD was following and we were both completely clueless. After about ten minutes of driving we pulled up to 5780 Woodmere Boulevard. We got out of our vehicles, I looked at JD and his first words were, "I wish I had a picture of your expression!" 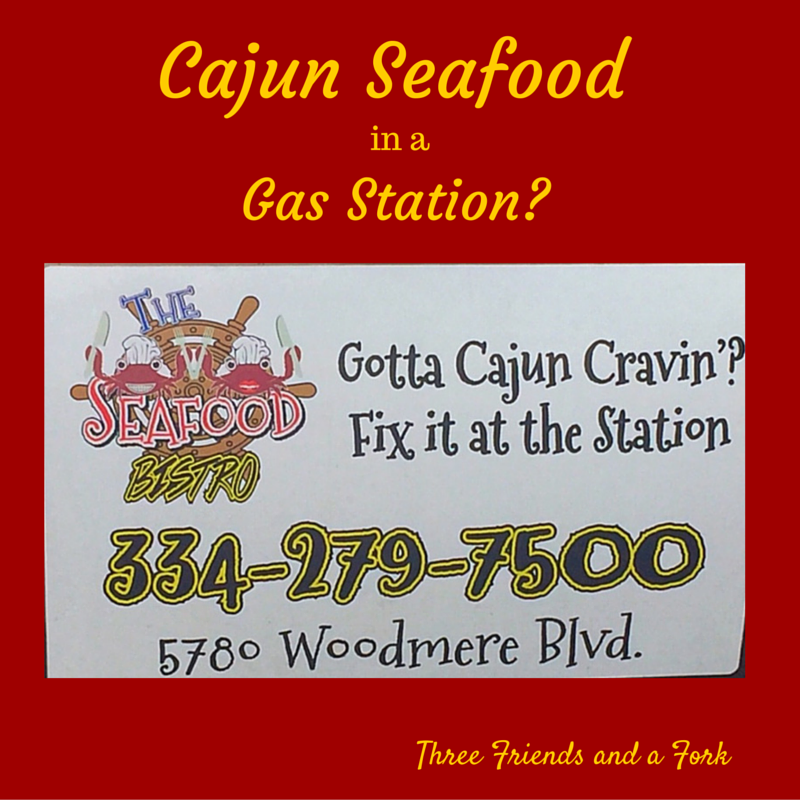 You see, The Seafood Bistro was in, I am not making this up, a gas station. 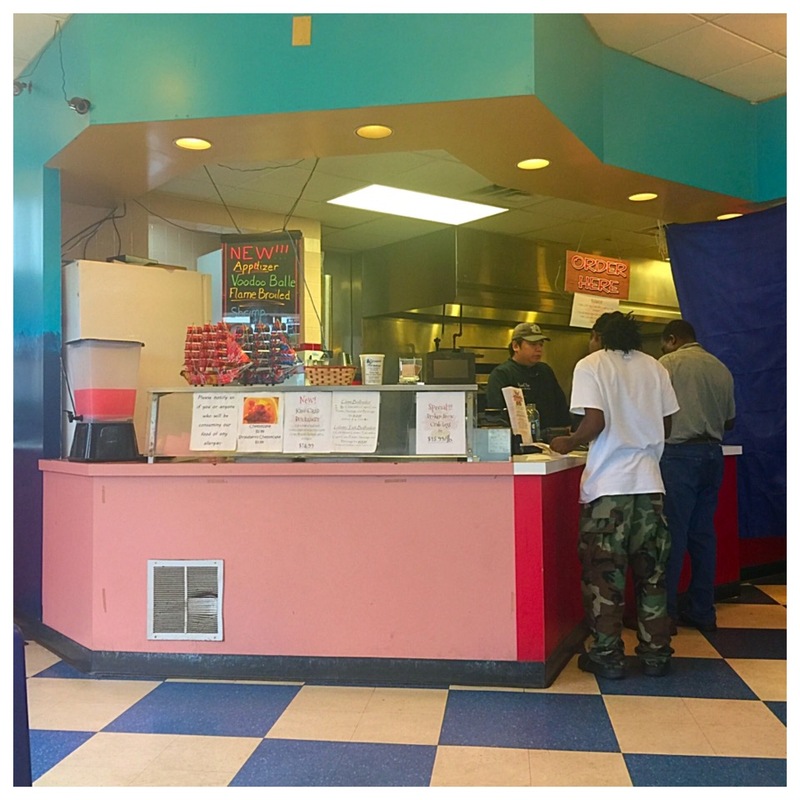 Recently, I had read an article on Al.com about a Hoover Food Mart gas station that served authentic Thai food. As I read the article, my "yeah, right" meter went off in about a million directions. It crossed my mind while it might be a great place to get gas, the car might not be the only one! So, you can imagine that the thought of eating seafood in a gas station might cause me a bit of concern. I literally started to get right back into my car, but JD stopped me. He was hungry and the idea of traipsing all over Montgomery in the now pouring rain was just too much for him. He said, "Mom, let's just give it a shot." While I was thinking we might need a shot of something (like penicillin) before it was over, I reluctantly dragged my doubting self through the door. The first thing I did was look for the health rating, thinking if it was anything less than 80, I was outta here! 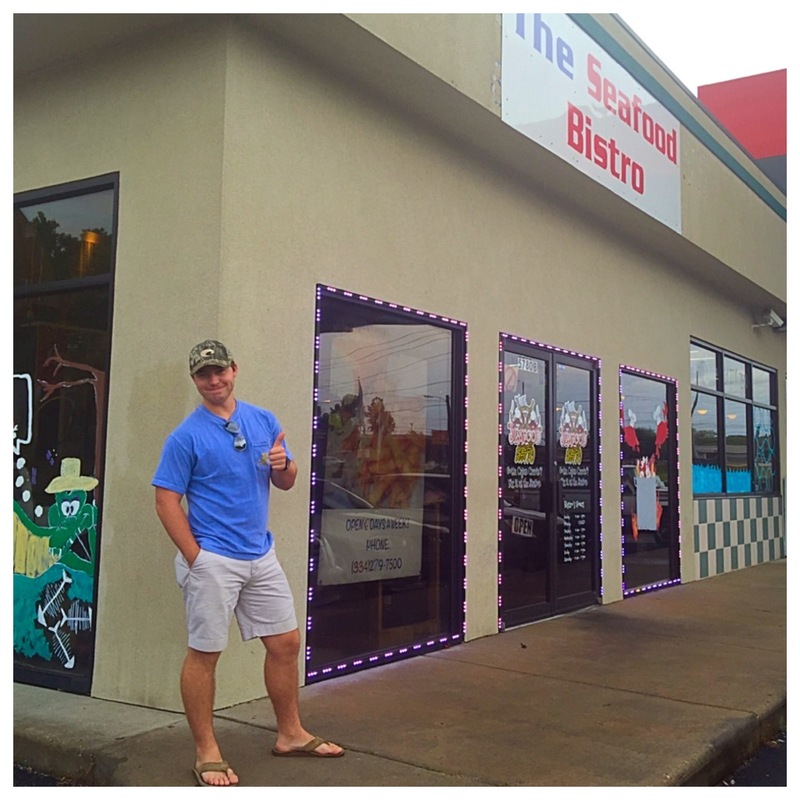 But no, The Seafood Bistro had a glowing 96! I really could not believe it. We grabbed a couple of menus and stood at the register as we studied them. 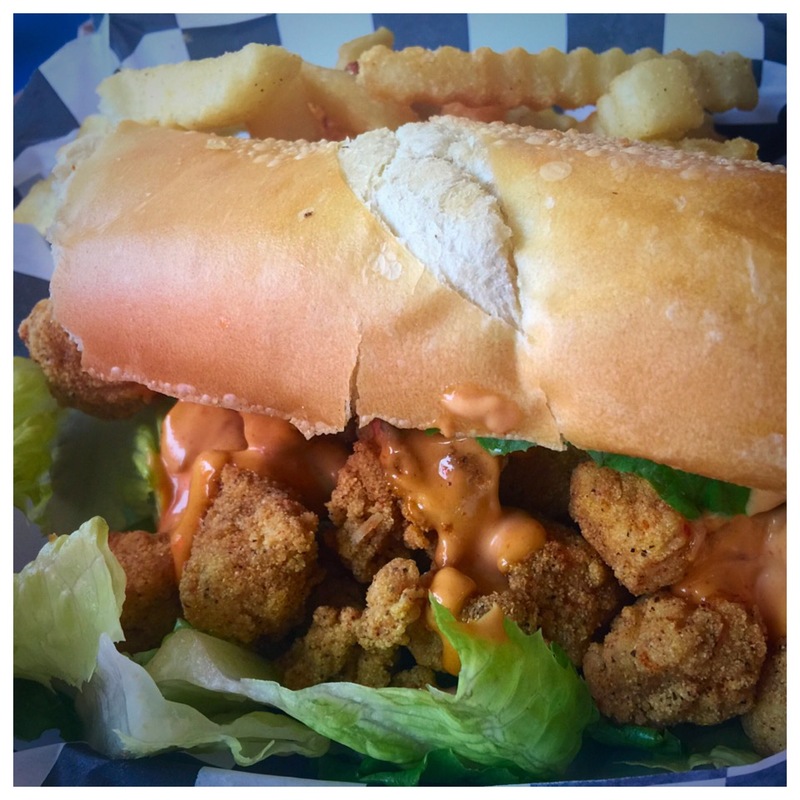 I really do not know what kind of madness took over at that point, but I figured I might as well go all in, so I ordered an oyster po'boy. Yes, I ordered oysters in a gas station! I know, pure insanity. JD chose blackened grouper and, since mom was buying, decided to also order a gator po'boy to go for dinner later that night. Yes, yes I did say gator. At this point, we were either going to be pleasantly surprised or we were both going to die. There didn't seem to be any middle ground with our choices. Since it might be our last meal, I decided to order a dessert. The bread pudding beignets on the menu seemed like a sweet way to end our days on earth. We found a table and waited for our fate, I mean food. In just a short while, it arrived at our table and we were totally blown away. Everything looked really, really good and since you eat with your eyes first, we were off to a promising start. 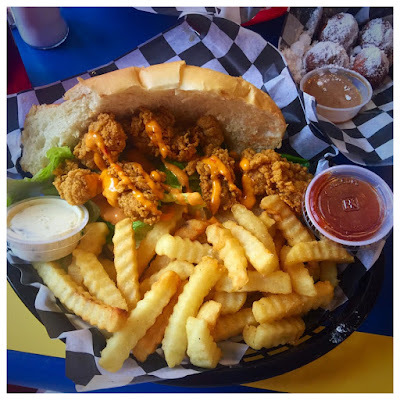 I slipped an oyster off the po'boy and tentatively took a bite. The cornmeal crusted bivalve was sweet, fresh, perfectly cooked. To say that I was surprised could not be more of an understatement. 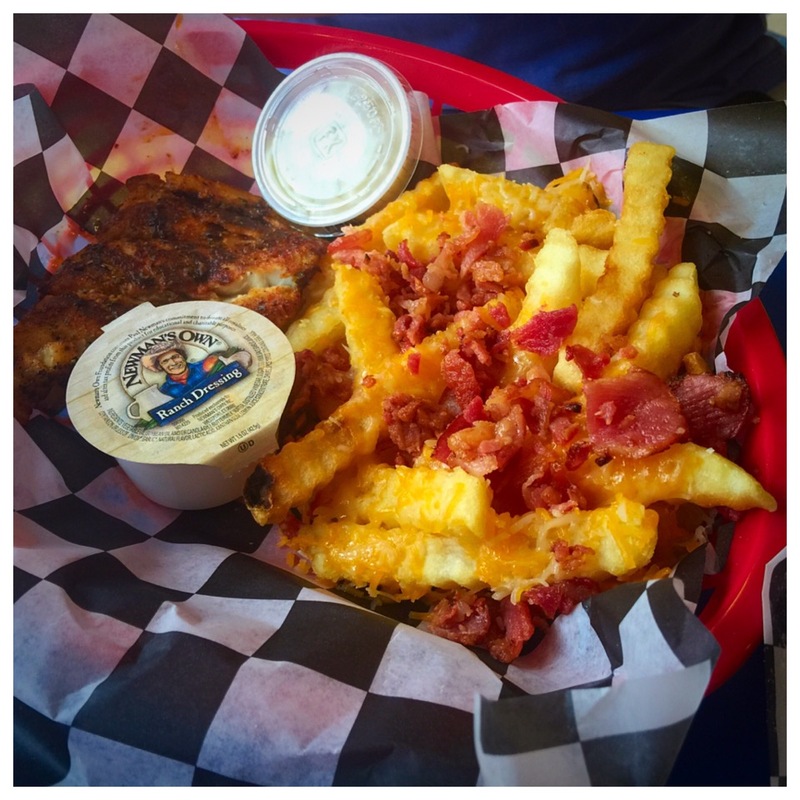 JD was equally blown away by his blackened grouper and the bacon cheese fries he got as a side. He said, "Mom, I think he must use applewood smoked bacon. These are the best bacon cheese fries I have ever had!" The homemade sauce that came on our po'boys also deserves a special shout out. I asked the chef/owner Paul Do if it was a remoulade, and he told me it was similar, but his own creation. Whatever! It was delicious! By this point I was convinced enough to sample a piece of the gator in JD's to go order. My personal experience with gator has always left me underwhelmed. It always seems chewy and not particularly tasty. This gator, though, was none of that. It was juicy, tasty and tender, in a word, amazing! Oh, and it tasted nothing like chicken! The only thing left at this point was the dessert. The bread pudding beignets were presented with a healthy dusting of confectioner's sugar...messy just like the ones at Cafe Du Monde in New Orleans. 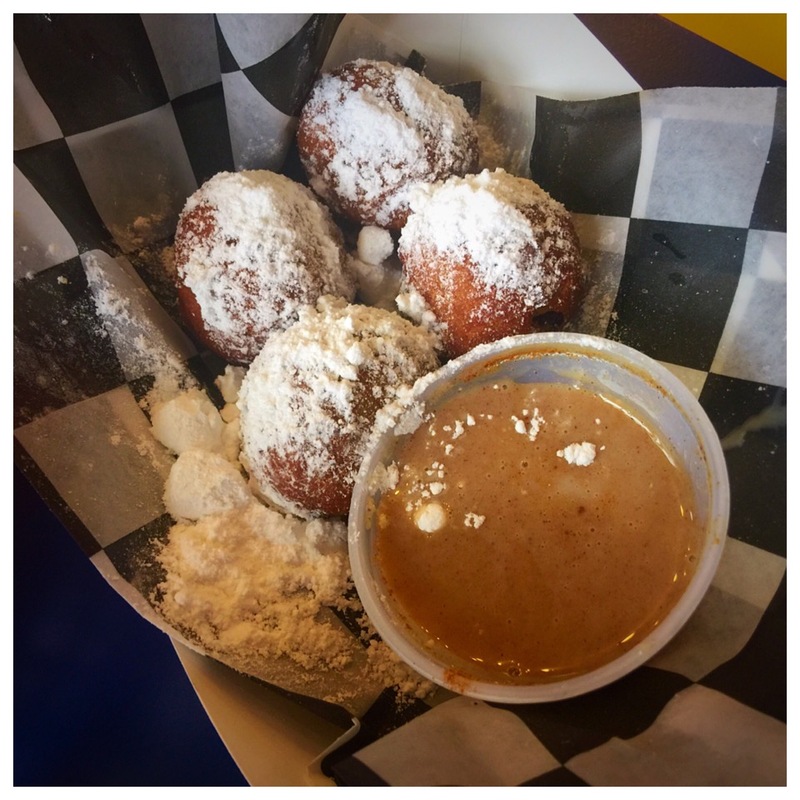 Unlike the New Orleans beignets, these little nuggets were accompanied by a cup of vanilla brown sugar bourbon sauce. I dunked one into the sauce and bit into it, sugar flying everywhere. I thought this just might be one of the best things I had ever tasted. It had all the flavor of the best bread pudding and even had raisins. I love bread pudding with raisins! The beignets were perfectly fried, not greasy at all, tender on the inside and crunchy on the outside. The sauce was so good, I wanted to drink it. These beignets were legit! JD and I thanked Chef Do and told him just how very skeptical we had been. He grinned broadly. He had heard this before. 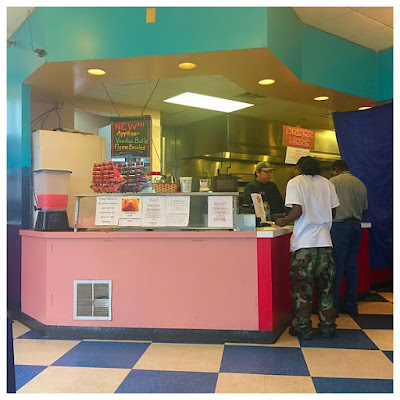 He likes the fact that people come into his restaurant with all kinds of doubts and he really likes knowing that once they taste his food, they will be coming back. If you are traveling to or through Montgomery, take exit 6 off I 85 and make tracks for Woodmere Boulevard. You can fill up your car and grab dinner all in one convenient stop. I promise you will not have any regrets! Three Friends and a Fork give The Seafood Bistro 3 Shocked Yums UP!